Observation deck pictures are always tricky. Even if you’ve got a steady hand to hold a panoramic shot, inevitably some school group or busload of tourists will wander into your frame and give your picture a nice, fanny-packed blur. Such is the challenge with visiting Chicago’s Willis Tower or the Space Needles of the world, where hundreds of other people are clambering for the same 360 degrees. But in many tourist-packed cities and lesser-known destinations, you’ll find observation decks that most of the masses haven’t discovered. Here are nine phenomenal views you won’t have to share with too many others. Seattle’s most famous observation deck at the Space Needle got a major overhaul last year, and though it’s still worth a visit you’ll be joined by every person who’s never been to Seattle before. Better to head to the city’s tallest building at the Columbia Center, where the entire 73rd floor is now open to the public as the Sky View Observatory. 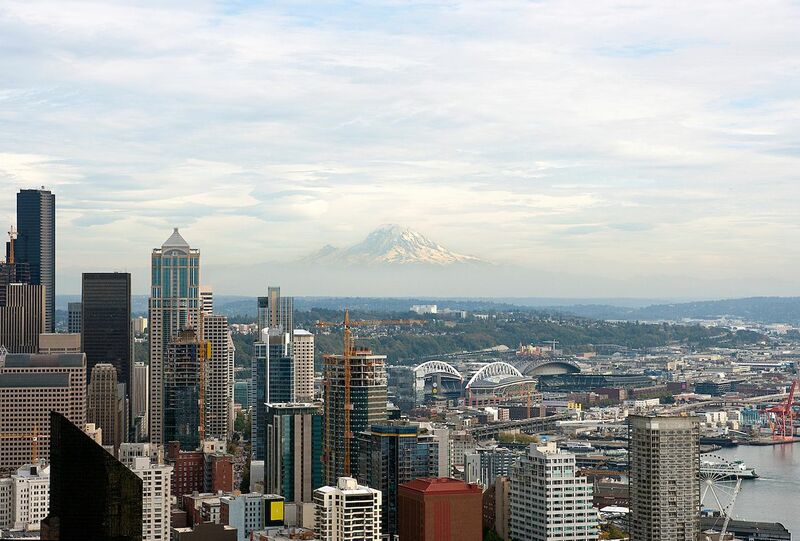 The view on a sunny day can’t be beat, with the Olympic Mountains to the west over Elliott Bay, the Cascades to the east over Lake Washington, Mount Rainier to the south, and the Space Needle to the north. It’s the best way to immerse yourself in America’s best skyline, and take in all the natural beauty of the Pacific Northwest. Ah Texas, the only state in America with historical sites devoted to its own independence. This makes the state especially fun to visit as you’ll learn a history nobody outside the state really knows. For example, you can go to the San Jacinto Monument, a museum that memorializes the battle of San Jacinto, where Sam Houston led a surprise attack on Santa Anna’s camp, winning a battle that ultimately began Texas’ independence from Mexico. 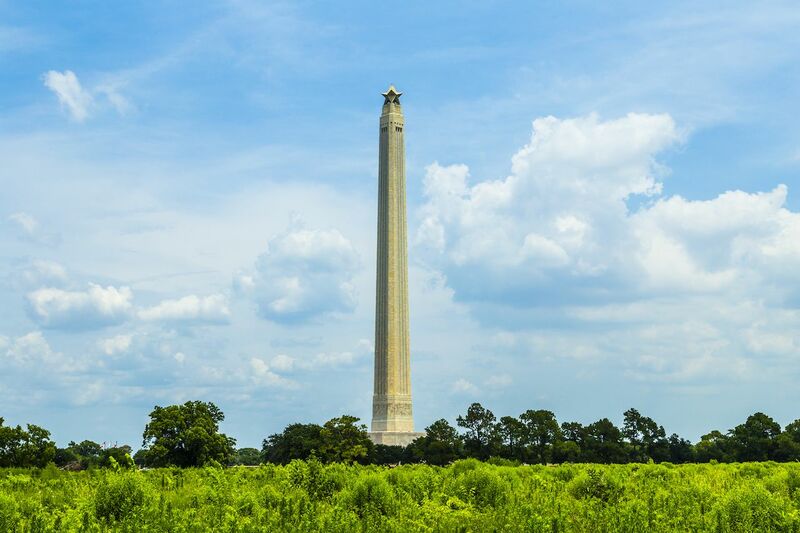 The battlefield is marked by this 570-foot obelisk east of Houston, topped with a 220-ton star in true Texas style. From the top floor observation deck, you’ll find stunning views of the Houston Ship Canal and Battleship Texas, with only the occasional school group to contend with. With countless hikeable scenic overlooks, LA is already full of natural observation decks where you can get out and enjoy the California sunshine. 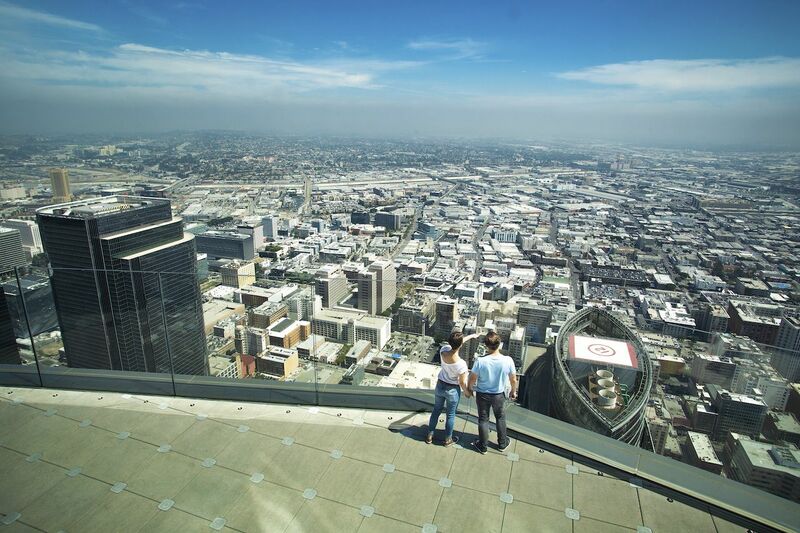 But as Downtown Los Angeles has boomed recently, its iconic US Bank Tower has amped up its observation deck with views from the Pacific Ocean out to the San Gabriel Mountains. This January it added a slew of interactive exhibits, where you can walk on a virtual red carpet full of flashing lights, record a track in its recording studio, or spray something on its graffiti wall. 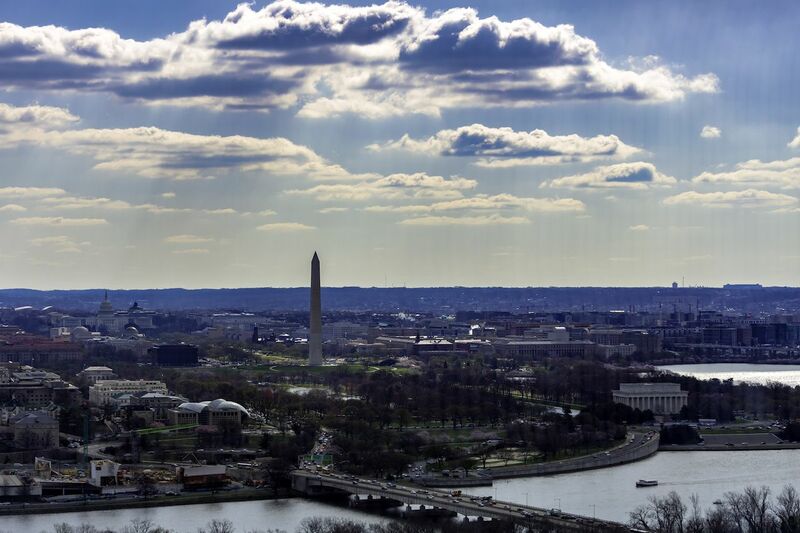 The nation’s capital isn’t exactly teeming with spots to scope the entire skyline of monuments, but the CEB Tower just across the Potomac River in Rosslyn, Virginia provides perfect panoramas of the mall. And it’s far enough away that it’s not always teeming with tourists. The deck stands 400 feet up and gives 360-degree views of the city and the Virginia hills to the west. It also has interactive exhibits so you can hear holograms of historical figures tell the story of the city, as well as the monuments that dot the landscape. You can also grab a drink at The View DC Champagne Bar, or virtually tour DC from above at HoverDC. Observation decks don’t just have to give you towering perspectives of skylines or oceans. They can be excellent natural vantage points as well, as anyone who’s been to the Clingmans Dome or the Grand Canyon Skywalk can attest. 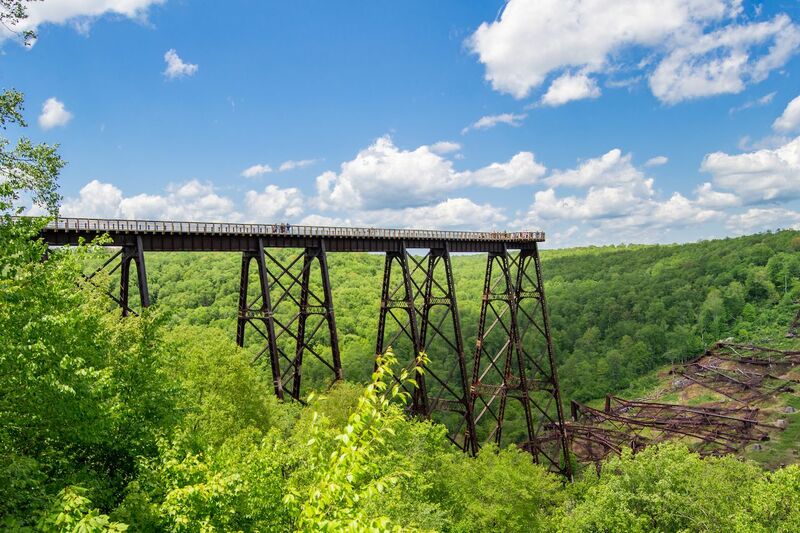 The most beautiful one most Americans haven’t heard of is at Kinzua Bridge State Park in northern Pennsylvania, just south of the New York border. At one time this bridge was the highest railroad bridge in the country, but in 2003 a tornado ripped out the center section and left this side dangling out over the valley below. It’s been transformed into a visitors center with a glass-floored sky walk where you can stare straight down into the forest, and in the fall it’s the northeast’s best place to view the turning leaves. 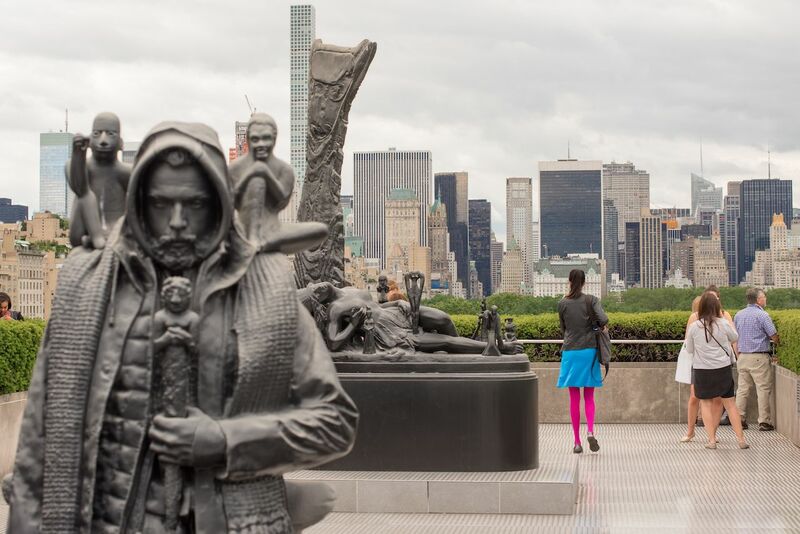 Though the Metropolitan Museum of Art is no big secret among tourists, the serene observation deck on its roof still somehow flies under the radar. Literally under the shadow of the Empire State Building and One World Trade Center, this rooftop garden sports views out over Central Park and onto the skyline of midtown Manhattan. Once there you’ll find a swanky martini bar and a small cafe, and during the summer it showcases different artists with a rooftop exhibit. There’s no extra charge to visit the rooftop, meaning you get a museum and an observation deck for one only-mildly-expensive price. Heading to the top of the Willis Tower or the Hancock Building seems like a must-do in Chicago, until you get there and see a line typically reserved for free burrito day at Chipotle. 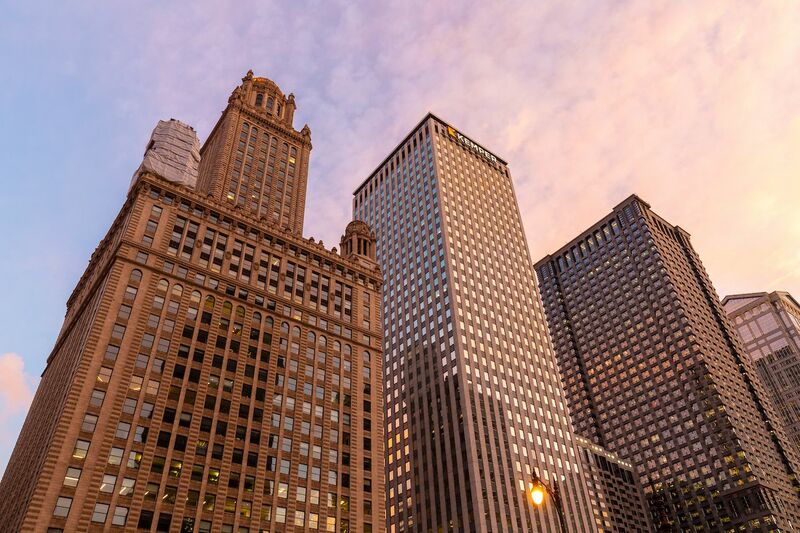 Though the views aren’t as high, the observation deck at the 522-foot Kemper Building is still pretty grand, with 360-degree views of the Chicago River and the surrounding buildings. You won’t have to worry about fighting for selfie space either, as this 41st-floor observatory is only open to those on Chicago Architectural Foundation tours. The best view of San Francisco is probably from the roadside viewpoint across the Golden Gate Bridge at Battery Spencer Overlook. But this museum in Golden Gate Park known for its sculpture gardens has one of the best publically-accessible indoor views of the city. 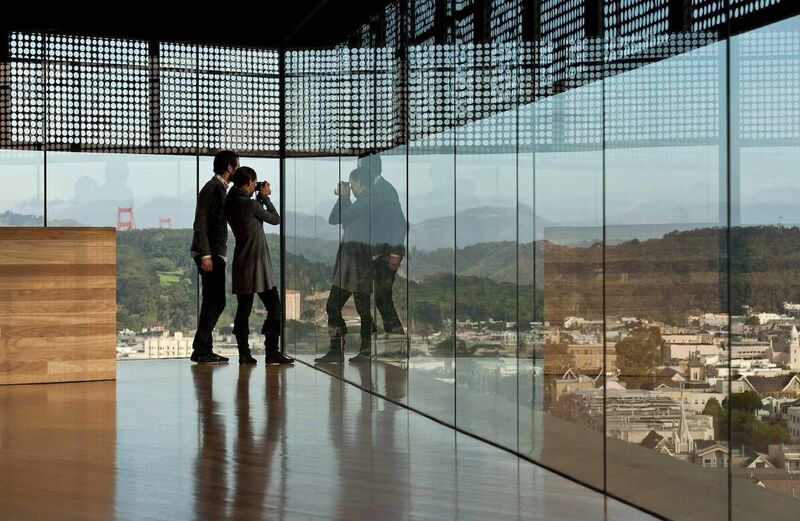 The Harmon Observation Tower stands above the de Young Museum, offering views around the skyline, San Francisco Bay, and the Marin Headlands. Because it’s hidden in the park, most tourists don’t make it out here, leaving the views for you and the handful of other people who discovered it. You don’t even need to pay the de Young admission fee to take the elevator up the tower. 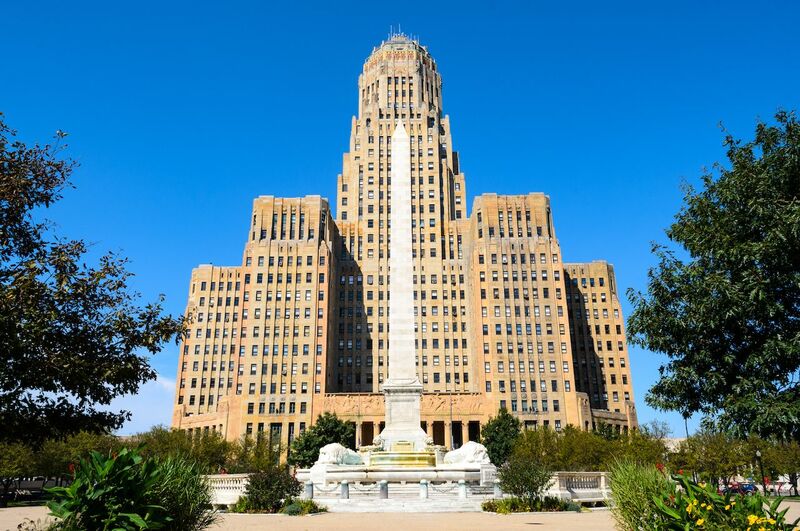 Buffalo’s Art Deco city hall is one of the grand architectural gems of the early 20th century, a stunning example of the industrial wealth of the city during that time. Though touring the building is a must for anyone with an appreciation for architecture, a trip to the top lands you in a spacious observation deck, where you can see all the way to Lake Erie and Niagara Falls on a clear day. The 28th-floor observatory is free and open to the public on weekdays, and if you’re lucky enough to travel here during the winter you’ll have the whole, majestic, snow-blanketed wonderland to yourself.